The Minister of Health and the Department of Public Health became responsible in 1889 for the management of the cemetery and responsibility has remained within the Health portfolio since. 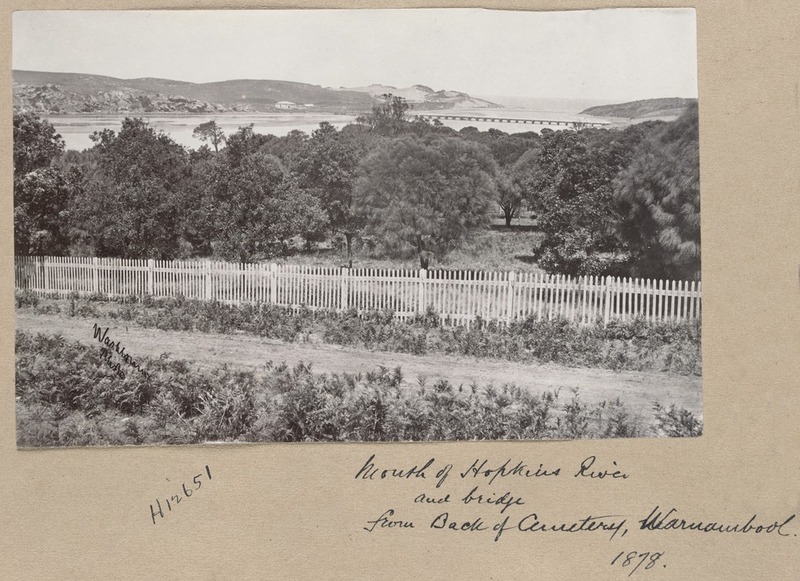 In the 1880’s the north-east corner of the west parcel was purchased for the Warrnambool to Terang railway line, reducing the land from the original 20 acres to approximately 17 acres. The Warrnambool Cemetery continues to be of historical, aesthetic and social significance to Warrnambool district. It contains a number of important grave sites, markers, headstones and memorials. Mouth of Hopkins River and bridge, from back of cemetery, Warrnambool.